My Top 5 Most Anticipated Comic Book Movies for 2016 | Superhero etc. ugh, I still need to go over the trailer for this movie…but anyways! 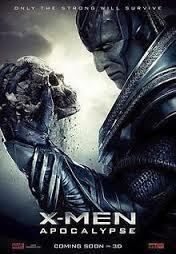 If you’ve been a reader of mine for any sort of time then you know I’m a huge X-Men fan. Granted there really aren’t any good X-Men movies (X-Men: Days of Futures Past was the best one and it still wasn’t the best adaptation of a comic book out there) but still I’ll take what I can get. Now Apocalypse does look like a bad Power Rangers villain compared to the comics but frankly as long as he’s a real threat, the mutant prejudice is still present, and the characters are well done, than I’ll be somewhat happy. You’ll probably see more of my thoughts when I review the trailer! I admit I actually wasn’t that excited for the film until the first trailer came out but now I’m hyped! The first film was bad but like Transformers bad, it was just flawed. This film, if the trailer’s anything to go off of, should be much more Ninja Turtles and just a blast to watch plus we get to see Casey Jones show up and Bebop and Rocksteady finally gets to show up in one of these. It also looks like they’ve fixed some of the flaws from the previous film like the Turtle’s designs and making April more of a side character than the main protagonist. 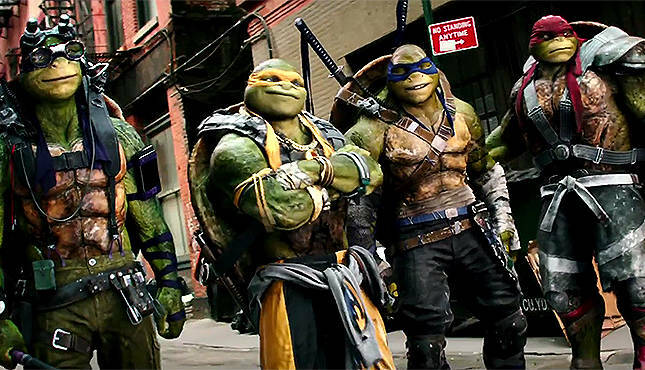 What can I say, I love me some Ninja Turtles and this film seems to be delivering better than the first one. After “Deadpool” appeared in that one Wolverine movie and fans hated him, now FOX is giving us a complete movie featuring the Merc with the Mouth. First off I feel like fans have been waiting for Deadpool to get his own movie for quite some time now and since it’s going to be “R” rated it’s less likely to be watered down. 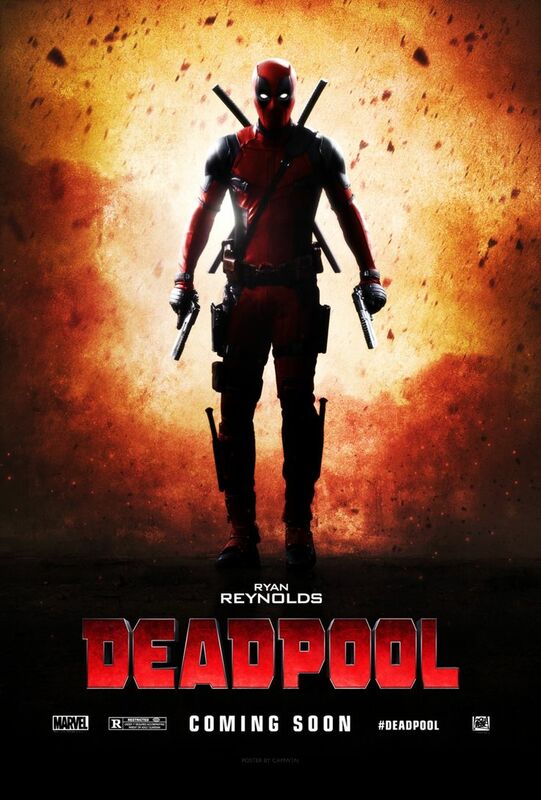 Now because it’s R-rated I won’t be able to see it for a few years which is kind of a downer but I’d much rather wait to see a great Deadpool movie than see a watered down Deadpool movie this year. 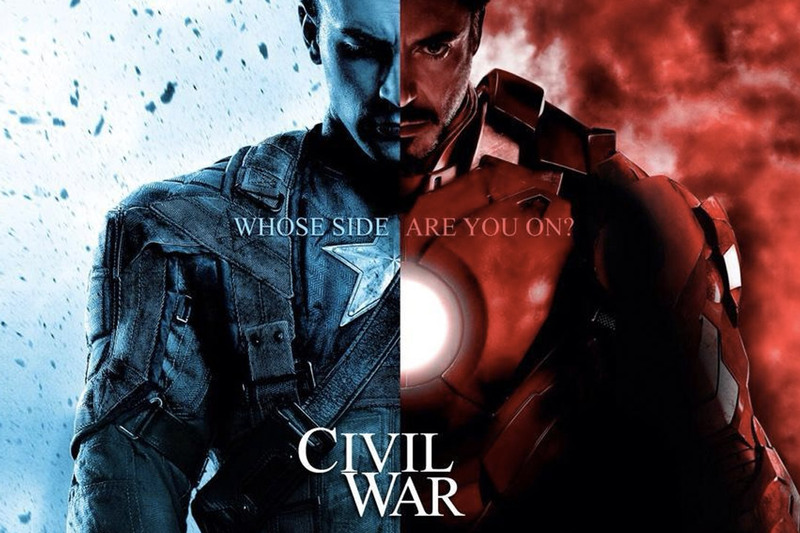 Captain America: Civil war, a rather loose adaptation of the Civil War comic where Captain America and Iron Man has different stances on superhero secret identities and as such splits the Marvel universe straight down the middle in a…well…civil war. Now like I said, based on the trailers and the amount of characters available for the film this is going to be a rather loose adaptation and honestly it looks less like a war and more like five guys fighting with five other guys. I am excited for it but I do wish more characters would appear in it. Like I would love it if Daredevil shows up in the movie or have Jessica Jones show up to head to Canada like she did in the comics. Punisher is also confirmed to appear in Daredevil Season 2 so it would be nice for him to appear and possibly aid Spider-man like in the comics. Speaking of Spider-man, this film will mark the debut of the MCU Spider-man! So while this film won’t be the Civil War adaptations fan probably wants, it’s the closest thing we got. And even despite the looseness of the adaptation, it will still feature the shake up in the relationships of the characters and that was the whole point to the original comics in the first place. Despite the dumb subtitle, I’m hyped for this movie! 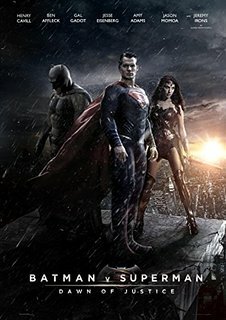 Just like how Civil War will mark the MCU debut of Spider-man, this film will mark the first time Superman, Batman, and Wonder Woman are all in the same movie. People are worried since this follows the terrible Man of Steel and the trailers makes it seemed to crammed, but honestly the trailers are making me feel less and less nervous. I don’t know, I guess seeing what they’re doing is making me more hyped for the film and less nervous. I also like Batman in this (who is my favorite superhero) and I’ve been pro Ben Affleck since the beginning but also his Batsuit looks spot on to the ones in the comics and while I’m actually not a huge Dark Knight Returns fan I do appreciate the references it makes to such an influential comic. Like the Frank Miller inspired Batarmor for instance. So those are my five most anticipated movies for 2016, but what about you guys? Which film is your most anticipated film? Doctor Strange will definitly be a fun one! I’m worried about Suicide Squad but hopefully it’ll be good! 5. I’m not really looking forward to any other live action comic book film in 2016 unless I’m forgetting something…and I probably am! I’m super hyped for Batman v Superman. And another good reference from the Frank Miller book is when Batman tells Superman to know what it means to be a man, he said something similar when they were fighting. IDK but I’m just not as hyped over Doctor Strange as everyone else. It shouls be a fun movie, but I just kinda don’t care. Haha, I only got the reference because I just re read that comic through a Batman vs Superman trade that I’ll be reviewing soon D: Maybe the trailer will make Doctor Strange look exciting. I’m hyped for it because the MCU is just so good at this point, but it would be lower on the list if we were getting more big films like the Flash or Wonder Woman. Then it’d be game over Doctor Strange! Idk why but Doctor Strange as a character just doesn’t peak my interest. I watched his animated movie and saw him in a few episodes of Ultimate Spider-man so I think I get his shtick and I see why people would like him, I’m just not interested. These are some good titles. I want to see the new TMNT movie and Captain America. Next would be Doctor Strange, Deadpool, Suicide Squad, and Batman v Superman. Suicide Squad worries me but the others all sound like great movies! Suicide Squad looks decent and I wonder how will this movie will go since it will be about the team and Batman won’t be the focus. I will not watch the Doctor Strange movie because of the whitewashing of a Tibetan character. Really? I mean sure it’s kinda dumb but is that a strong reason for not seeing the movie? For me yes if they wanted the Ancient One to be a woman fine but couldn’t find a East Asian actress to play her instead of Tilda Swinton? I mean it’s hard enough for Asian Actors to find work as it is. Also I read that Batman v Superman extended cut is better than the theatrical cut so look at that cut when. Comes out on DVD. Also saw the Ghostbusters movie it was okay but not great. As most of the jokes fell flat and the acting was very forced. In Superman 3 I’m glad that Krypto the Superdog looks like a Labrador Retriever again. Also love that Krypto regonized Superman and protected Jonathan from the Eradicator and I cried when I thought he died. Luckily the solicitactions for October showed the Krypto is gonna come back alive. I’m sorry, Superman 3? You mean the old movie? Never saw it. I meant this week’s Superman issue. Pingback: Ranking the most anticipated comic book movies of 2017 | Superhero etc.